A whole house remodeling project can transform your property into a dream home. When pursuing such a project, do you need to move out while the work is underway or can you continue to live in your home? Deciding to stay put while renovations are ongoing is one option, but you need to consider it carefully. Living through the noise, dust, privacy issues and the overall inconvenience might be too much for some to take, but it’s not impossible. Staying at home throughout the remodeling may be the best option if finances don’t permit finding alternate accommodations. This option also works when the project only involves one or two rooms, say, a master bathroom remodeling project. It’s also probably the better choice if you live alone or don’t have small kids. Deciding to move out may be the best option if the daily functions and quality of life of family members are severely compromised. Some families choose to stay with relatives, while others rent short-term accommodations. In other cases, families time their long-awaited vacation to coincide with the renovation project. This is the best choice if you have to work at home and cannot do so with all the racket of the renovation project. Moving out temporarily is also recommended if you have small children at home. In some cases, the family pet gets to stay with a relative if it’s bothered by the construction. If you decide to remain in your home during the project, it is important to establish at least one area that’s sealed off from the construction site as a private, safe haven. Speaking with the contractor is also imperative to ensure there is no invasion of privacy while the crew is inside the home. If you decide to temporarily move out, create a checklist of things to consider. Changing addresses for a short period of time can have an effect on the way things go for families, from commuting to work and school to dealing with an Internet connection. 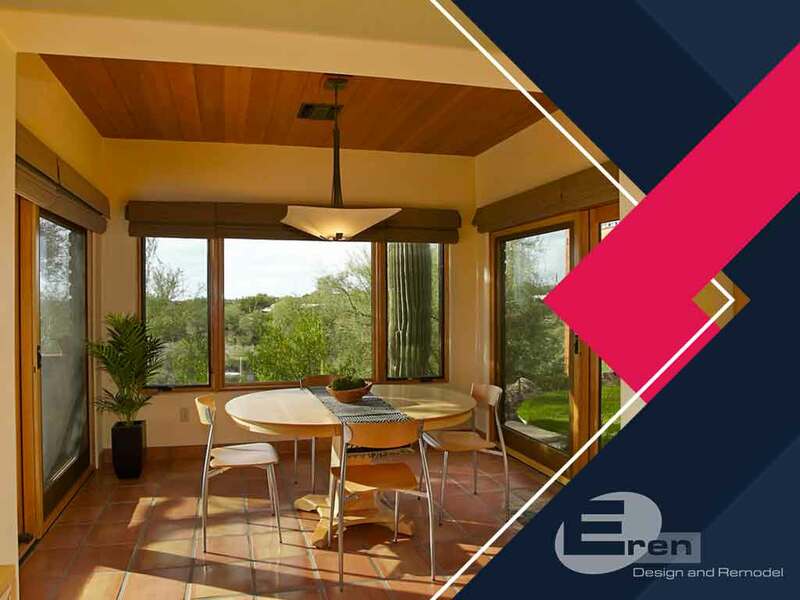 Count on Eren Design and Remodel for your home improvement project. From bathroom shower designs to kitchen cabinet ideas, you can be sure your intended changes to your home will become a reality. Call (520) 885-2500 for more information. You may also fill out our contact form to tell us about your needs. We serve residents of Oro Valley, AZ.